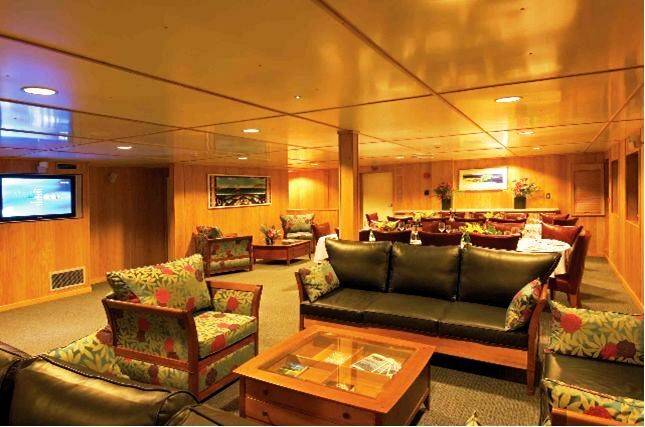 Motor yacht ISLAND PASSAGE is a beautifully-appointed small ship. 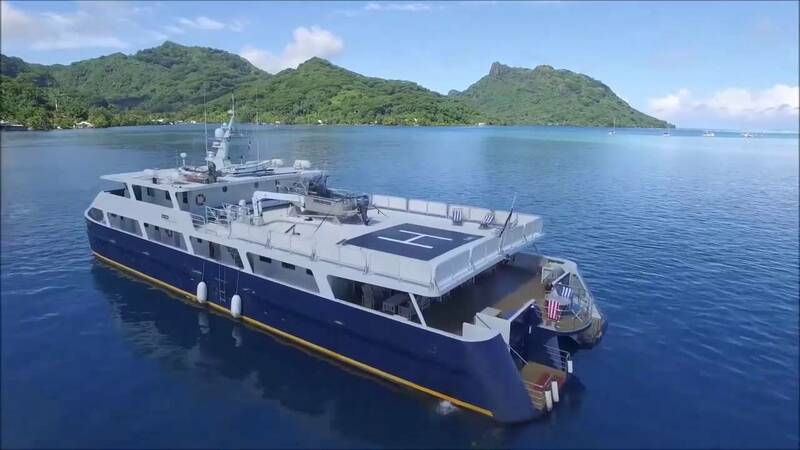 Measuring 42m (137.8ft), this displacement catamaran can accommodate up to 22 guests overnight in 11 luxurious cabins. 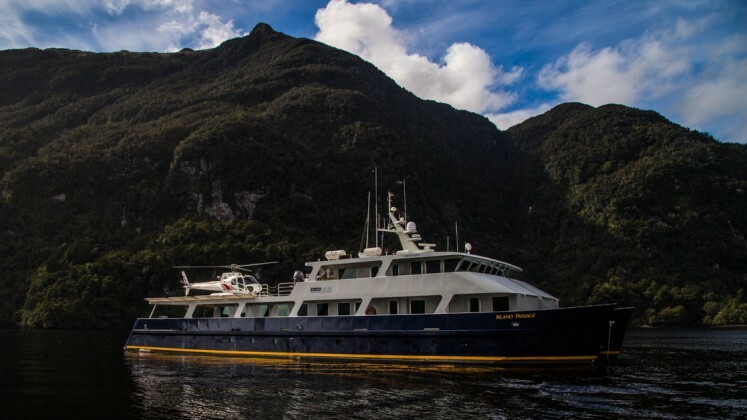 Weighing in at almost 500 tonnes, ISLAND PASSAGE equipped to travel to inaccessible areas while delivering the highest level of comfort for guests on board. 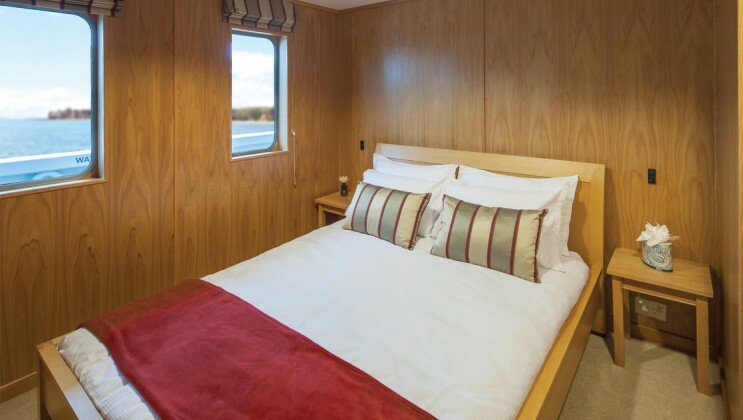 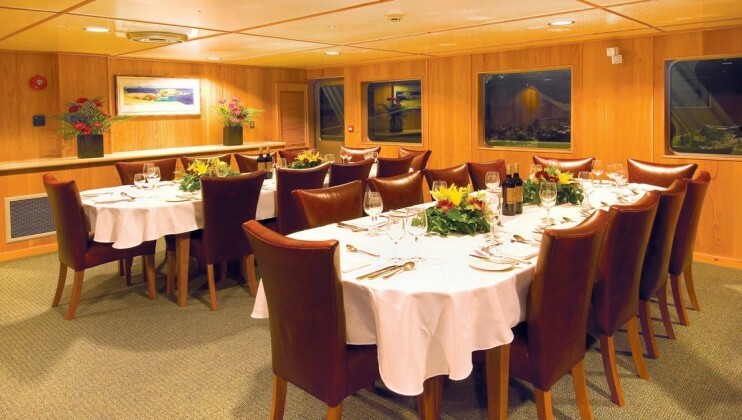 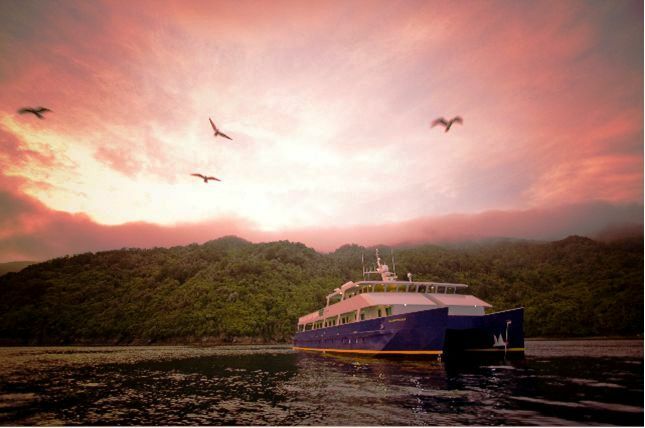 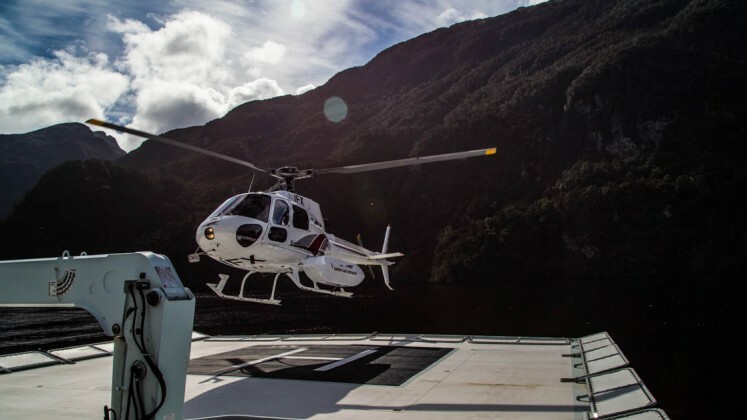 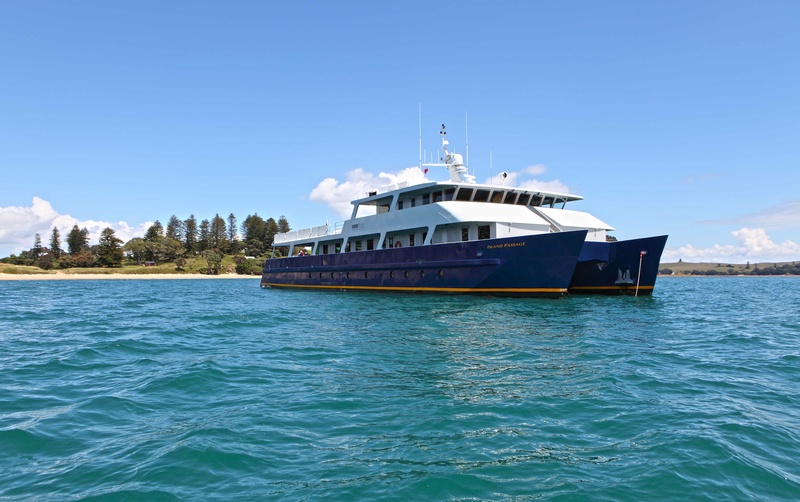 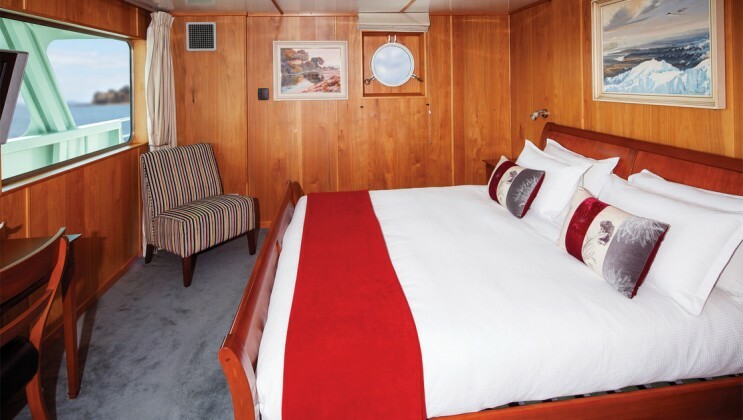 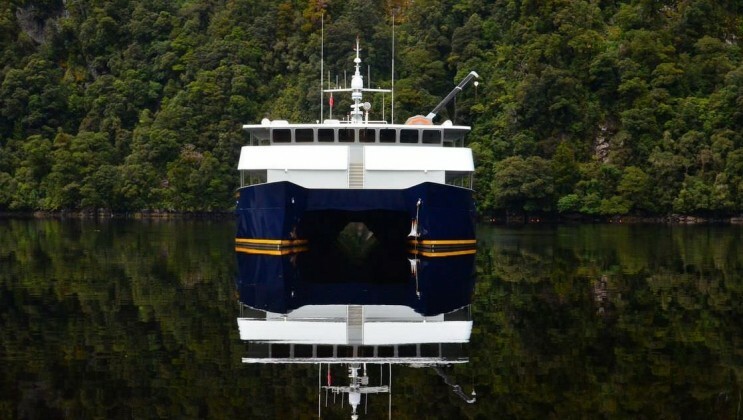 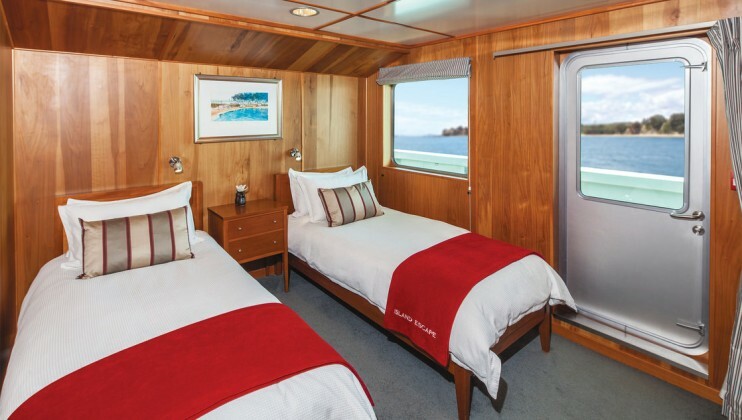 Motor catamaran ISLAND PASSAGE can host up to 20 guests in 10 spacious ensuite cabins, a large dining room and saloon lounge and a library fitted with rich timber panelling and New Zealand Kauri furniture. 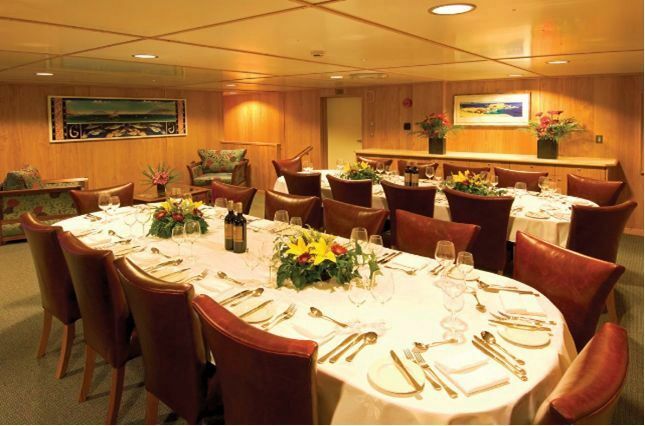 In the galley, the talented chef works with the freshest local ingredients and delicacies to create memorable meals that reflect the day’s adventures. 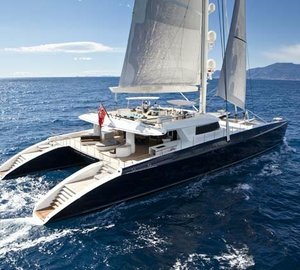 The yachts outdoor living spaces are spacious and include a covered aft deck as well as a huge upper deck which also doubles as a Helipad. 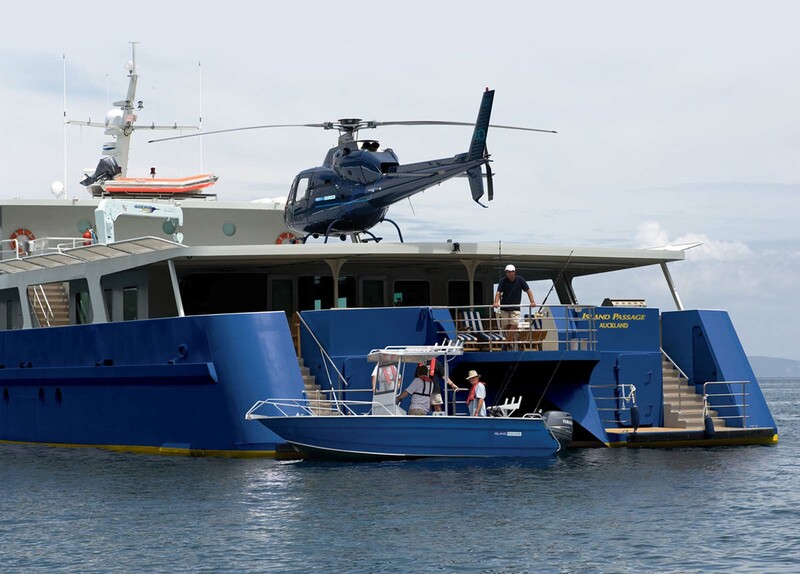 For entertainment and exploration, Island Passage carries purpose-built landing craft, three large tenders, sea kayaks, a five-seater helicopter and snorkelling equipment. 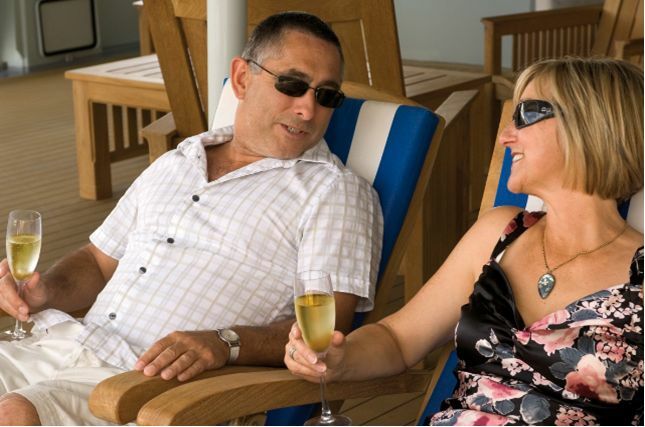 Never a dull moment, although lazing in a deckchair is always an acceptable option. 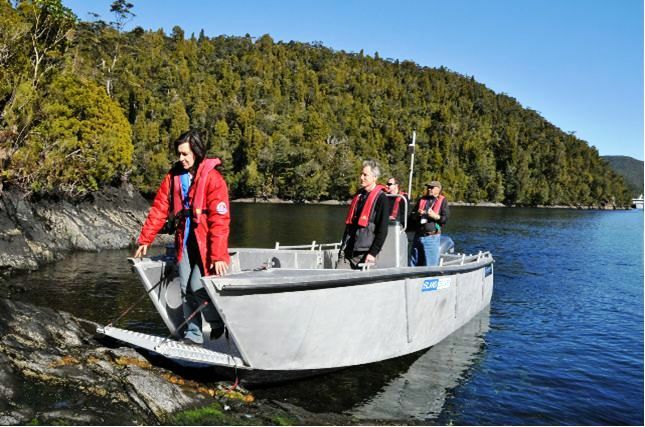 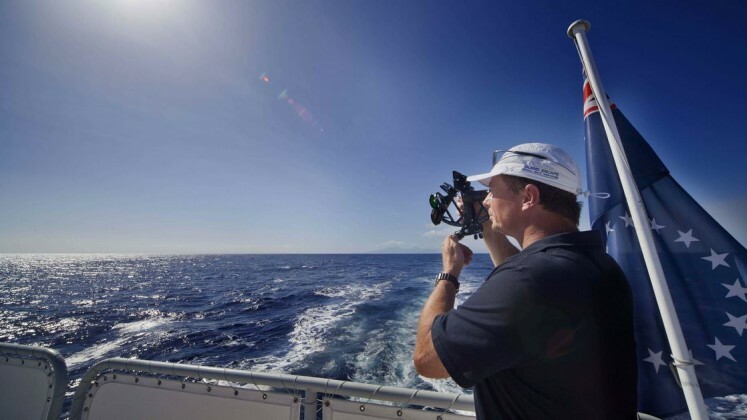 During each journey, the eight-person crew are on hand to share their knowledge of the ocean and local landscapes. 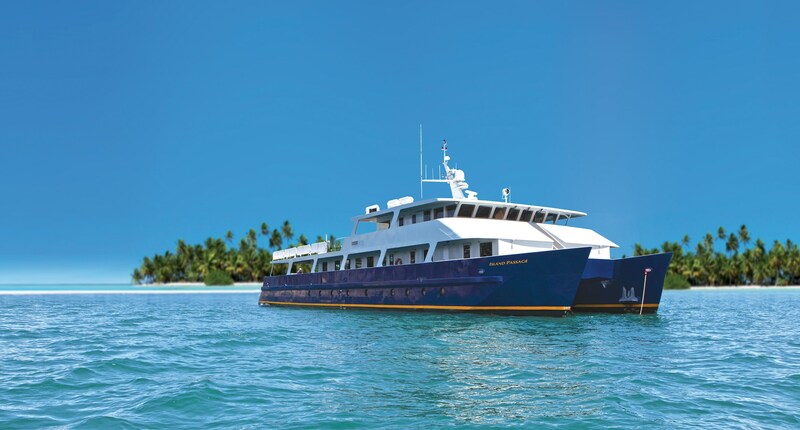 Charter yacht ISLAND PASSAGE is perfect for event charters, private charters or travel adventures. 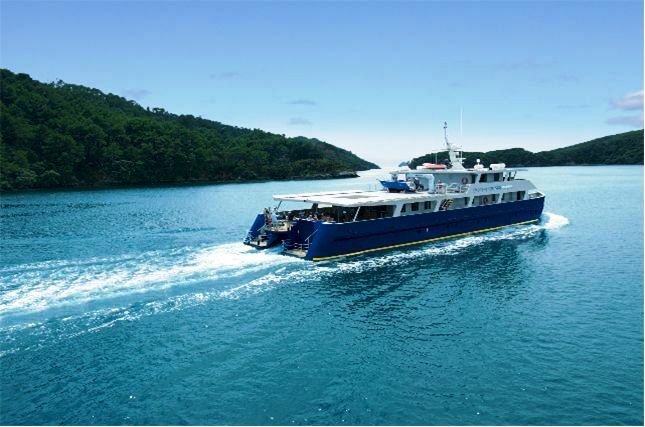 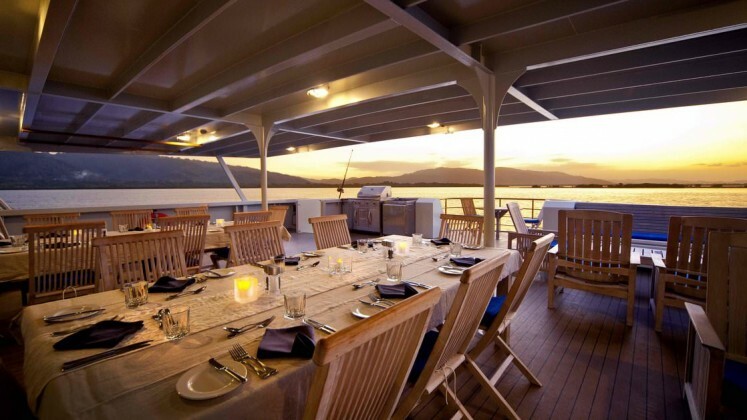 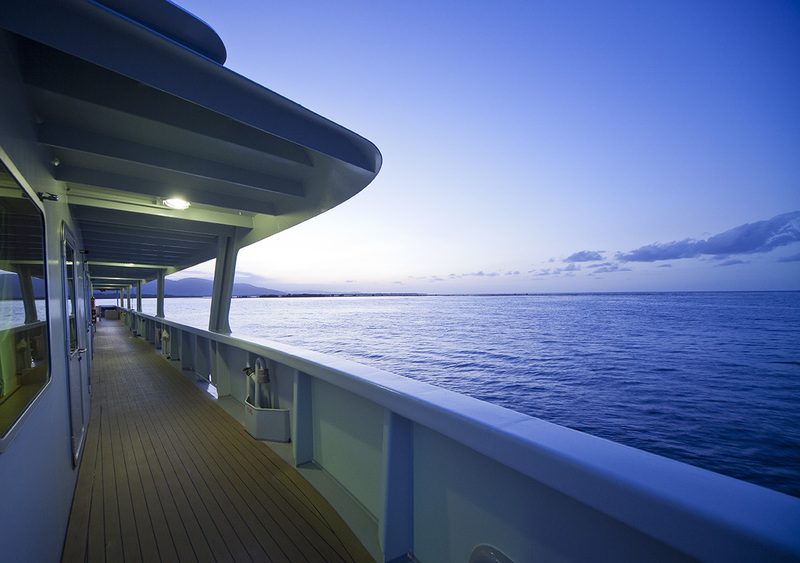 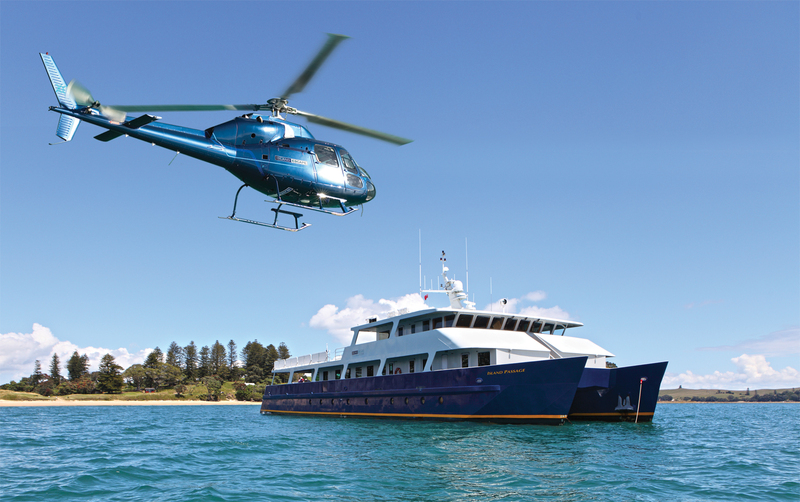 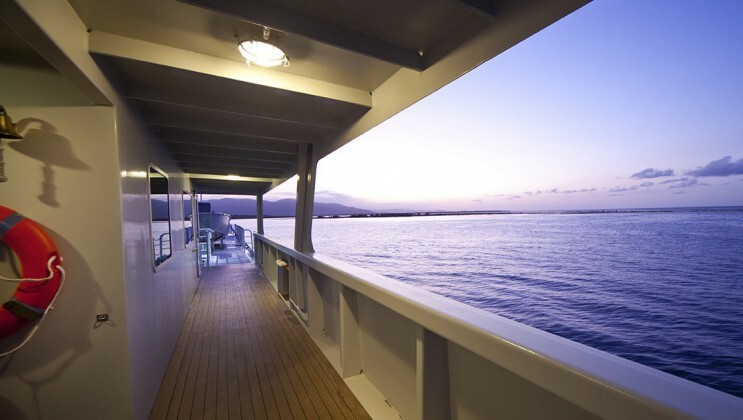 Motor yacht ISLAND PASSAGE charters in Vanuatu in the South Pacific and in New Zealand. 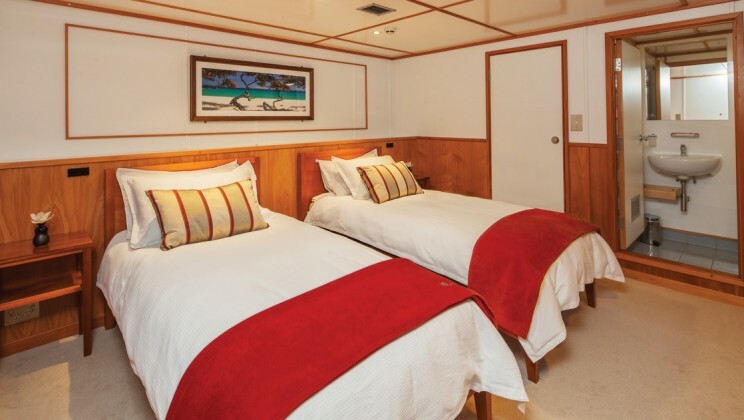 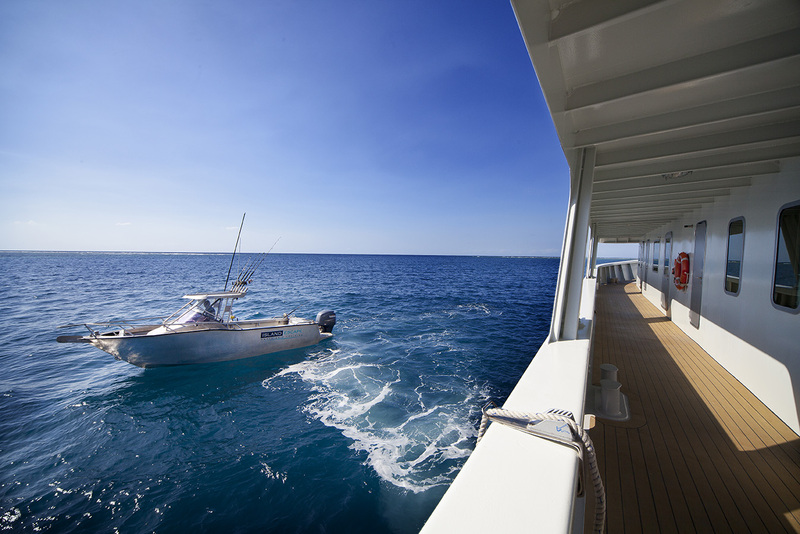 Motor yacht ISLAND PASSAGE is perfect for a leisurely break from a hectic lifestyle. 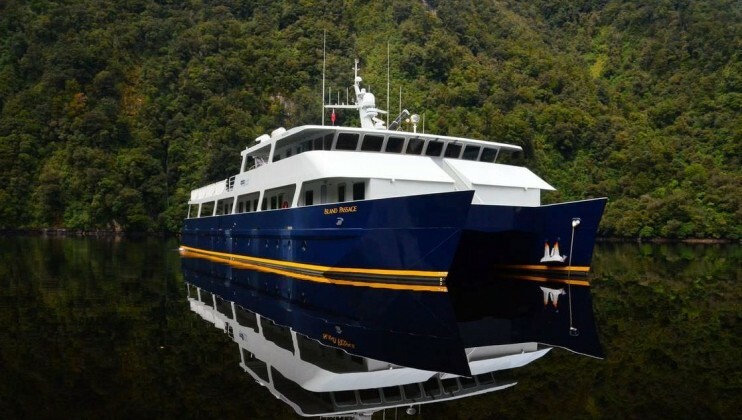 22 passengers can be accommodated in 11 spacious cabins, consisting of 6 doubles & 5 twins. 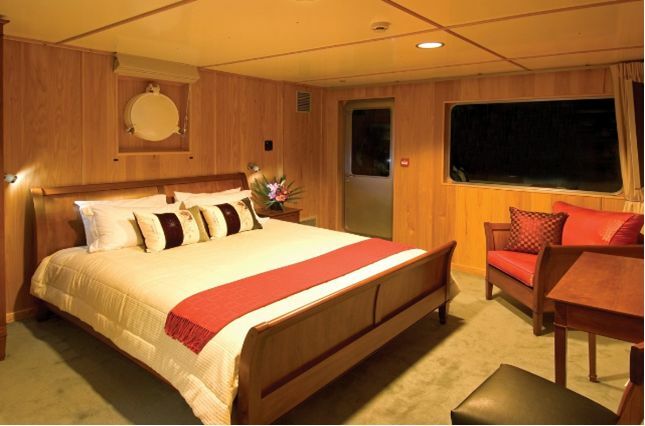 The accommodation contains rich timber panelling and New Zealand Kauri furniture, all fitted with DVD, audio and TV. 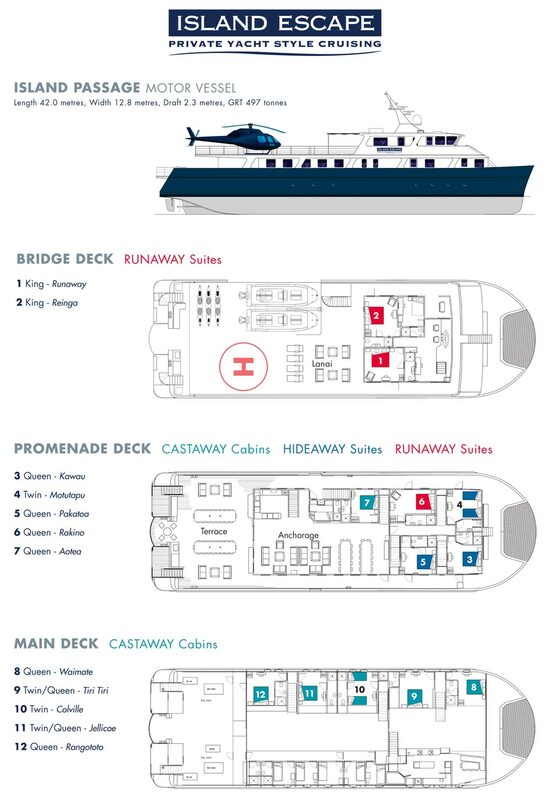 Most have doors opening on to the outer deck. 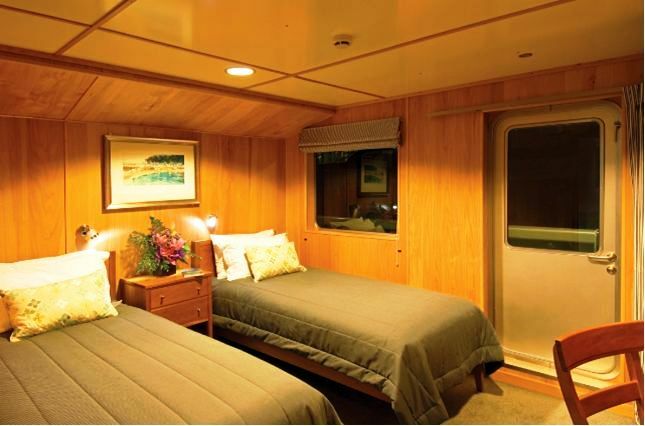 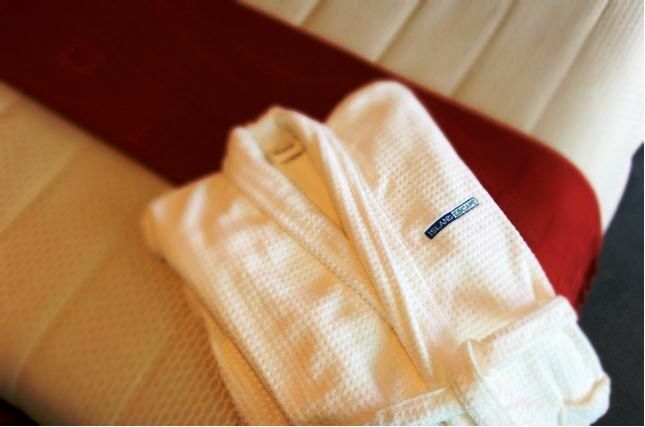 Each cabin has its own private ensuite and is air conditioned. 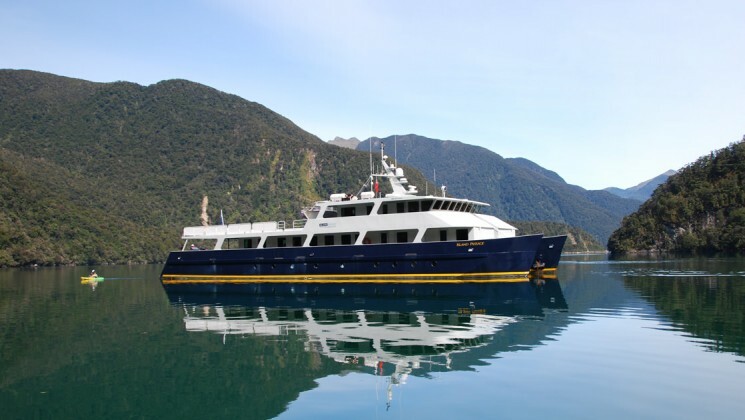 New Zealand and South Pacific based ISLAND PASSAGE boasts the following tenders and toys and communications: 6 meter Capelli w/ 150hp Yamaha Tender, 4m Zodiac w/ 25hp Yamaha Tender, Underwater scooters, Dive Equipment: 1 Dive compressors, dive gear, snorkeling., 2 Jet-skis, 1 waterskis, wakeboard, Game fishing Gear. 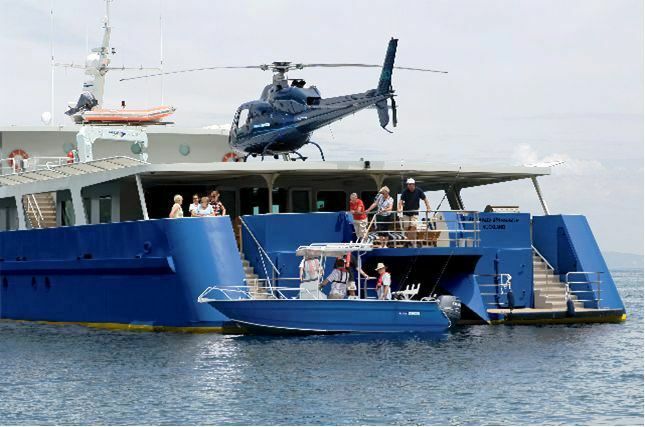 Communications: Internet Fleet 77, Inmarsat C 7M, Telephone Satellite Service, internet.